Day 28 of my World Cup 2018 concept series, Spain. 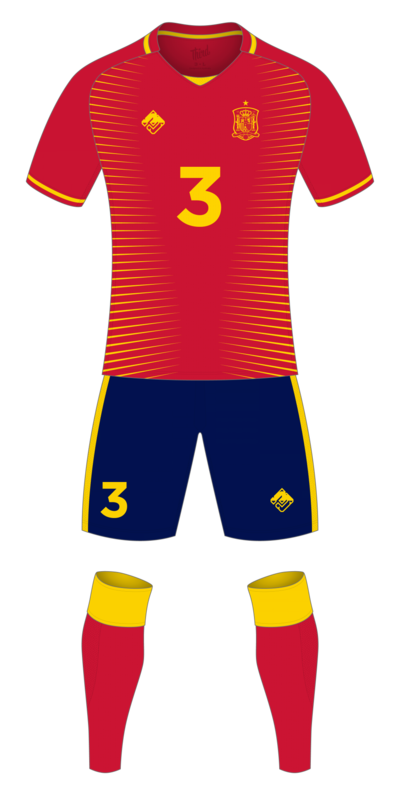 A relatively standard Spain kit, red jersey, blue shorts, red socks, all the yellow trim. To change things up a tiny bit I’ve added some spikey yellow striping down the side of the jersey.